The UK-based company will be showcasing its most recent additive manufacturing system – the RenAM 500Q at the exhibition. In addition to this, Marc Saunders, Director of Global Solutions Centres, Renishaw will also be making a presentation at the show’s ‘TCT introducing’ stage. Renishaw is one of the leading companies in the additive manufacturing space. 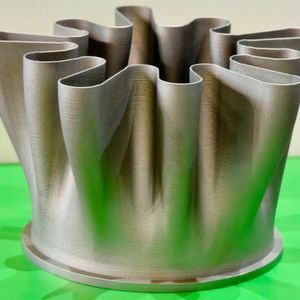 The firm designs and builds advanced metal additive manufacturing systems for numerous industries such as automotives, mould tooling, industrial tooling, aerospace, dental, medical, and creative. The 3D printing sector has witnessed a significant growth in recent times due to its many plus points, for instance the technology proves beneficial for reducing development time and is also an excellent process to lower costs as well as usage of materials. Renishaw has successfully incorporated this technology to create thin wall dental copings in production volumes for the dental and medical industry as the process was ideal to produce copings that are highly complex in nature. The company has shown its calibre in the automotive field too. Customised parts such as cooling ducts are developed via the metal additive manufacturing technique for the motor sport sector. It is also a quick and cost-efficient option to make prototyped parts for automobiles. Functional metal parts can also be rapidly produced and then tested for their performance. These are just a few of the many projects that the firm is working on. In order to showcase its latest work to industry players across the globe, the company is all set to exhibit at the upcoming Formnext exhibition. 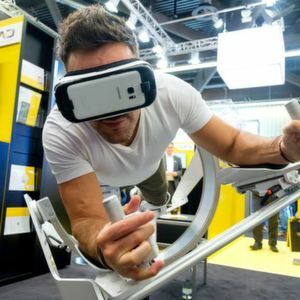 The trade fair focuses on the additive manufacturing sector and will be held from November 13–16, 2018 in Frankfurt, Germany. At the expo, the company will showcase the RenAM 500Q, Renishaw’s most recent additive manufacturing system. The RenAM 500Q comprises four 500 W lasers to improve productivity in the most commonly used platform size. The system also offers diverse advantages such as reduction in the cost of each part, increase in return on investment as well as a reduction in process waste. 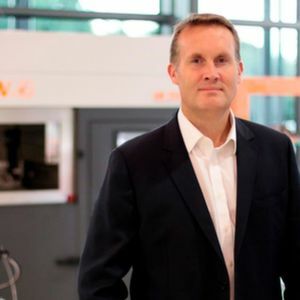 To explain the working of this system better and also to put a spotlight on the future of additive manufacturing, Marc Saunders, Director of Global Solutions Centres, Renishaw will be presenting at the event’s ‘TCT introducing’ stage from 11.30 AM on November 13. It is at this session that Saunders will elucidate on how developments in additive manufacturing machines, such as the introduction of the RenAM 500Q, can boost build rates without compromising on part quality. He will also speak about the interaction between lasers in a multi-laser system and how Renishaw has derived rules for laser assignment which enable high-integrity components to be built. All these elements will ensure that Renishaw makes a strong impact at the Formnext trade fair. If you are visiting the show, do stop by the company’s booth in Hall 3.1, Stand E68 to know more about the firm’s range of additive manufacturing technologies.